We are happy to share with you the second collaborative edition of the Smart Mature Resilience newsletter to present the work of European-funded projects working towards the shared objective of building resilience in Europe. The Smart Mature Resilience project has developed Resilience Maturity Model, which provides a common understanding of the resilience building process. The model is now available online as an interactive tool and is ready for you to use! While using the Resilience Maturity Model, cities consider and evaluate their current status of resilience. The model then helps to identify the correct policies to implement in order for the city to evolve and move to the next maturity stage. The model can be used to understand how a city's resilience maturity journey should look. As the RESILENS Project reaches its final stages, take a few minutes to discover more about the project and their recent updates in the recently launched fourth issue of their newsletter ‘Through the lens’. Don’t forget to sign up to their mailing list to ensure you receive the latest project updates and final outcomes as the project comes to a close. Improver Project: Register now for our next workshop on the 21st September! The IMPROVER project is developing a framework for operationalising resilience of critical infrastructures to improve their performance when exposed to crises and disasters. In order to assure the operationalisation of the framework, the project consortium will perform two pilot implementations through two scenario based cases studies: earthquake impact on a water network and critical damaging structure on a transportation infrastructure (caused by an accident). At this workshop, the developed framework and the pilot implementation plan will be presented. This workshop aims to discuss the usability of the framework and the feasibility of the pilot implementations, in particular through consideration of success criteria and risk management systems. All interested stakeholders can attend. The workshop will be of particular relevance to operators, associated partners and researchers. 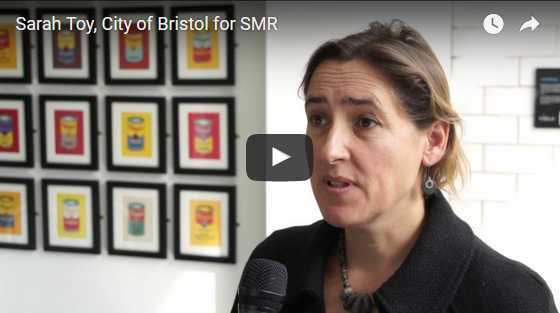 The SMR project has been working for just over two years to develop a suite of tools to help cities enhance their resilience. The cities have been working with researchers to develop five strategic support tools and discussion formats that the cities are using to identify and select policies they should implement to address weaknesses in their resilience management, to develop long-term resilience strategies as well as structures for cross-departmental cooperation outside of the usual 'silos'. how our cities have been progressing on the SMR website! SMR has invited an additional group of cities to join the project. These cities will participate in two in-person events and three webinars to test the suite of SMR tools and will evaluate the SMR Resilience Management Guideline. The exchange activities will help to enhance their resilience planning and strategy development and provide them with new discussion formats that can help to involve diverse stakeholders in decisionmaking.